Still have some leftover turkey from Thanksgiving and can’t face another night of turkey sandwiches or warmed up turkey, stuffing, and potatoes? 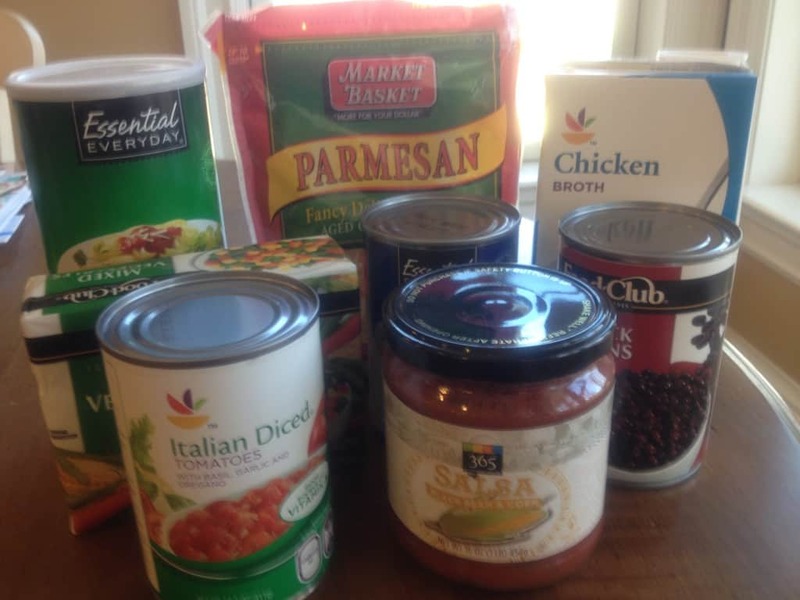 Here’s a great way to use up what you have left, especially if you do not have quite enough to make a whole meal. 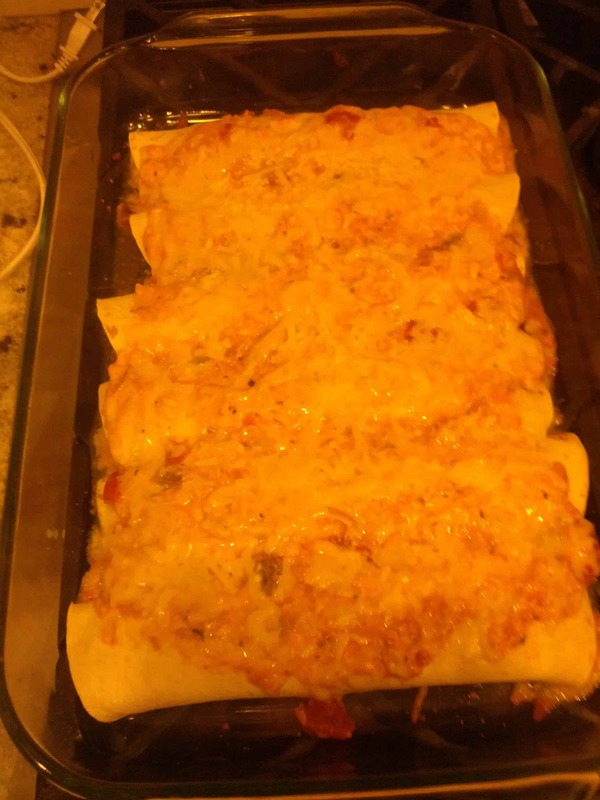 My kids love these and its a nice change from the traditional Thanksgiving leftovers. No leftovers? 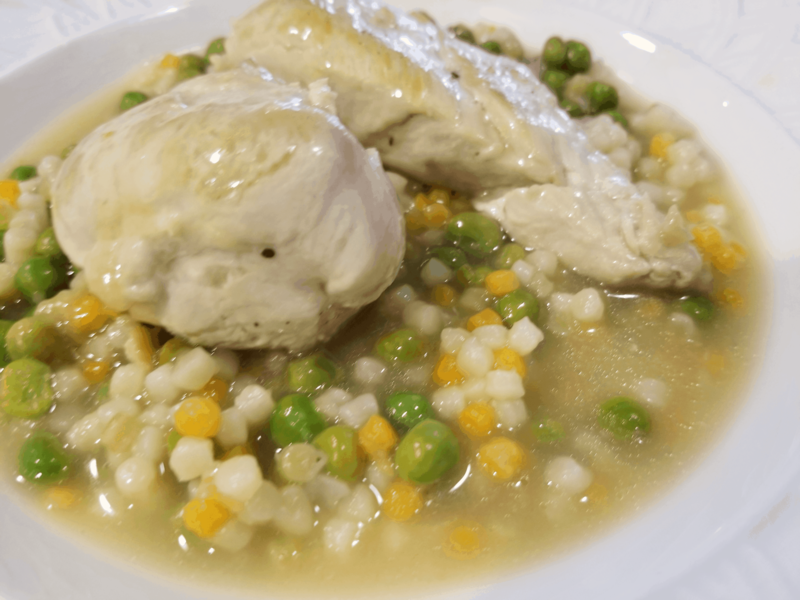 You can easily use turkey cutlets or turkey breast and just cook it in a skillet with some olive oil and garlic. 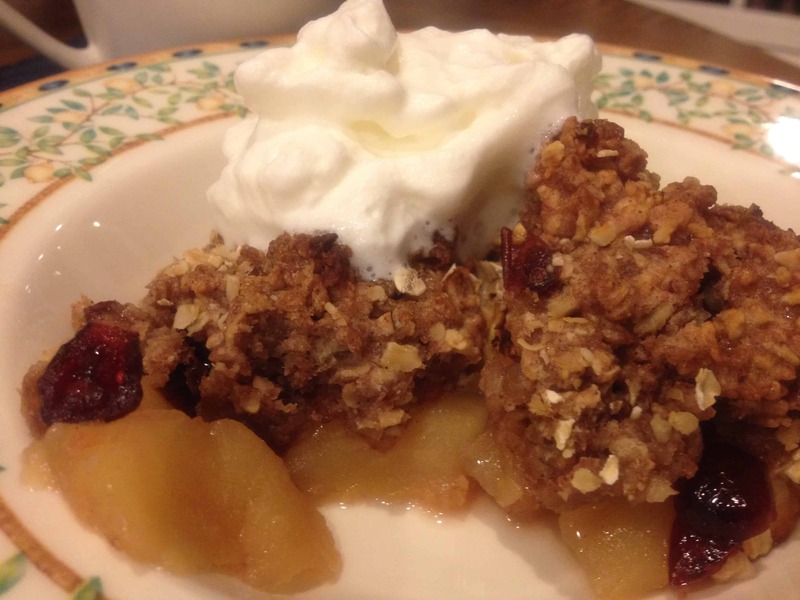 We use this recipe on our menus year round when turkey cutlets or tenderloins are on sale. Important to note: since today marks 4 days after Thanksgiving, this is most likely the last day you can use any leftovers safely, assuming you did not freeze them since the holiday. For more info on food safety with leftovers, click here for an article on using leftovers safely. Preheat oven to 350. Spray 13 x 9 baking dish with cooking spray. Chop turkey into small pieces. 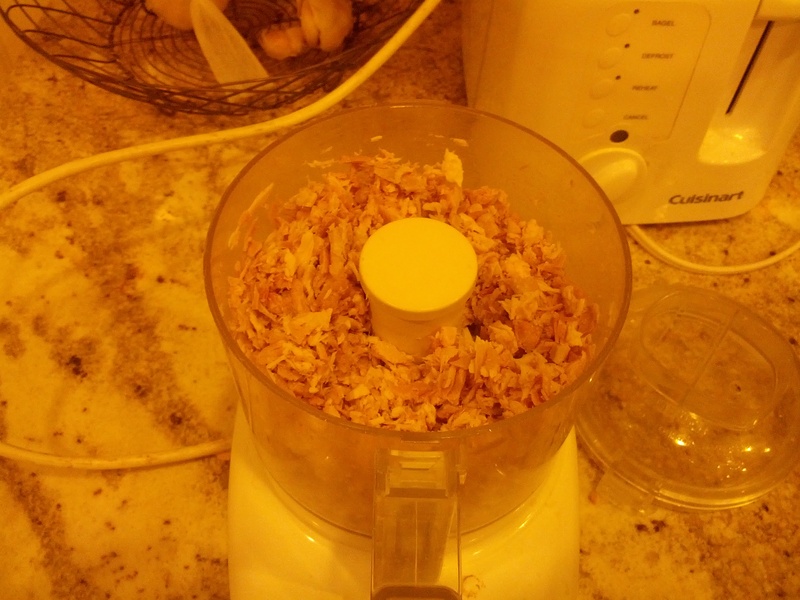 We used a mini food prep to quickly chop the turkey into very small pieces. 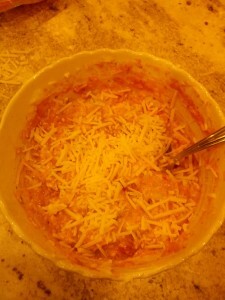 In bowl mix sour cream, salsa, cheese, onion & garlic. Reserve 1 cup of this mixture for spreading on top of enchiladas before cooking. Add turkey to salsa mix. 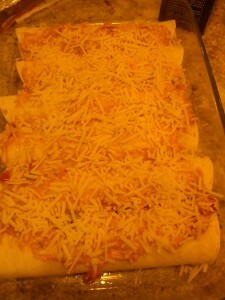 Evenly place turkey mixture on each tortilla, roll up & place in baking dish seam side down. (This should result in 5 to 6 tortillas depending on how much you place on each one.) Spread the reserved 1 cup of salsa mix over tortillas and sprinkle with the rest of the shredded cheese. 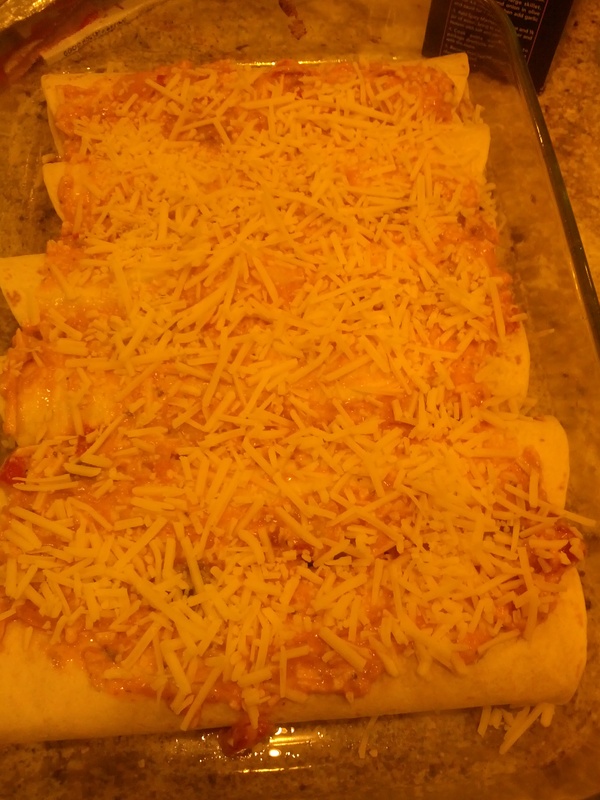 Cover with foil and bake for 10 to 15 mins until cheese is melted and enchiladas are hot and bubbly. I really had no idea how to cook, but valued the importance of home cooked meals (for health, finance and family time). My go to was Annie’s Mac n Cheese! 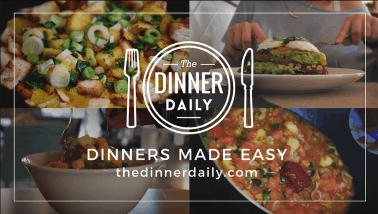 The meals that you send in The Dinner Daily are SO easy and incredibly delicious. My family eats more healthfully. 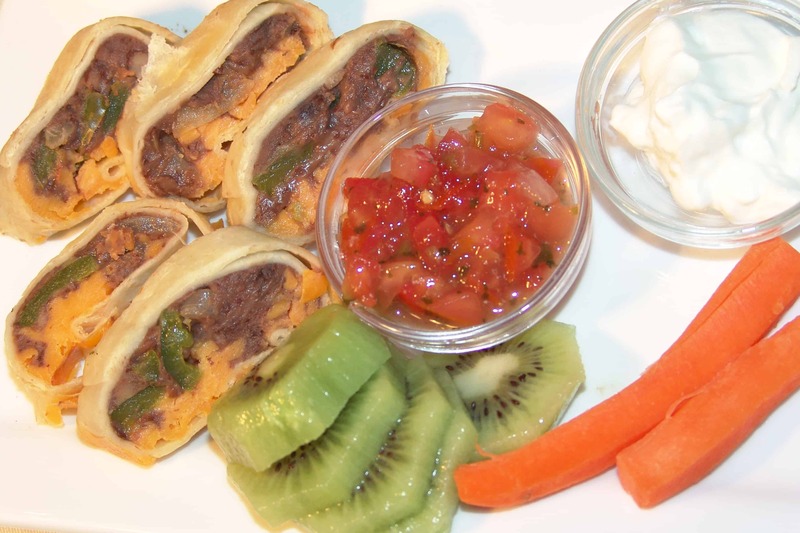 I have fun cooking these quick meals without sacrificing time with my two year old son. You make it so easy to plan for the week with the shopping lists. Best $ I have EVER spent! Have you considered a cookbook? Thank you so much. I love, love, love this and am so glad that I stumbled upon it.